What is it exactly about Friendship Day that has made it survive across the years and make it such an important day in our lives. As a little girl, I still remember the excitement with which I could buy friendship bands for all my friends at school and for anyone who was my buddy. It was with great pride that I went back home and showed off the multiple bands that adorned my hand to my parents. It was a gesture that was absolutely innocent - something so simple, and made so easy by the idea of a day dedicated to Friendship. A day dedicated to making new friends and bringing people together. Friendship Day gives you the freedom to go ahead and meet people that you were shy to approach earlier, the chance to meet new people and widen your circle, your experiences and your horizon. 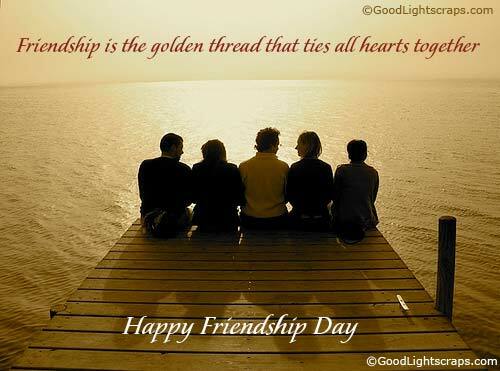 So, this Friendship Day, go and say hello to a person you've never spoken to before. Extend the hand of friendship and you might be surprised with what life has in store for YOU!!!! It was organized by Amoeba Education on 2 March 2013, at Sancta Maria International School. The aim behind hosting the symposium to throw light on future style of learning, and to share views on “ Why we should be talking about it today and how can we prepare ourselves for future challenges and what difference will it make?” in the way our children learn. The keynote speakers of the symposium were Ms. Geeta Narayanan, Founder- Director, Sristhi School of Art and Design and Mallya Aditi International school, Bangalore, Mr. Hari Krishna Verma, Co-founder Creya learning, Hyderabad and Ms. Subha Srinivas, founder and CEO, Amoeba Education, Hyderabad. The symposium was attended by Directors and Principals of various schools in the twin cities.